1) The virus infects both animals and humans (a phenomenon known as zoonosis). It has joined the list of recent zoonotic outbreaks such as swine flu and bird flu. Interestingly, almost 60% of all infections in humans come from animals. It is no surprise that people working in close proximity with animals are particularly susceptible. Species of fruit bats are the presumed natural reservoirs of the Nipah Virus, though transmission from pigs has also been reported. 2) This virus has earned its scary reputation. It can kill between 40 to 100% of those affected. The incubation period (time from when the infection happens to symptoms appearing) ranges from 4 to 14 days. The early symptoms are pretty non-specific and can be confused with those with common colds/general viral infections. 3) The virus affects both the respiratory and neurological systems. In recent outbreaks in the Indian subcontinent, the lungs are often affected (75% of the cases). Patients may go through increasing breathlessness and may progress to severe oxygen hunger rapidly. It can also progress to encephalitis - which is an inflammation of the brain - and patients can slip into a coma. Encephalitis has a high rate of death and survivors can have long - term neurological issues such as a seizure disorder or personality changes. 4) There is no definitive treatment apart from supportive care. Supportive care means that the patients may need to be closely monitored and may be admitted to hospital. Patients may need respiratory support and may need to be put on the ventilator. There is as yet no vaccine for the Nipah virus. 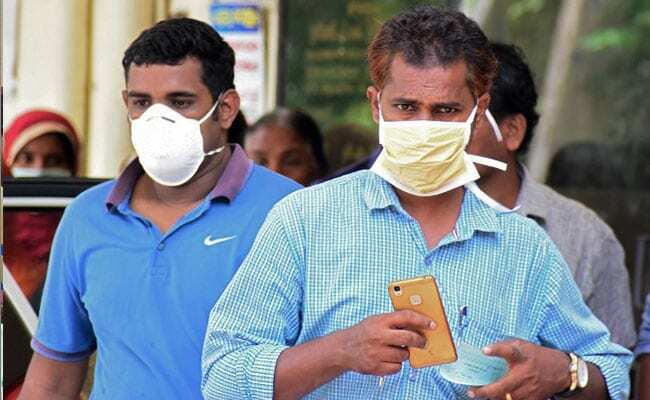 5) For patients living away from the area of the outbreak - if you have symptoms which are flu-like, such as headaches and fever - you are far more likely to have common flu rather than Nipah. For those living in or around the area suspected, vigilance and seeking early advice would be sensible. Health professionals working in the outbreak areas are well sensitized to what to look out for and seeking direct counsel is more advisable than unverified information doing the rounds. 6) The portals of the WHO and Centre for disease control are excellent resources (as they has been for this article! ), though the information tends to be written for professionals. Also, remember outbreaks tend to be pretty cloistered in small areas and can be brought under control with sensible quarantine and treatment protocols. 7) It would come as a surprise to many that is not the first outbreak in India. There were two outbreaks in West Bengal in 2001 and 2007 with 50 people killed. Similar outbreaks have taken place in Bangladesh. The mode of transmission includes person-to-person and contact with sick animals. However, the outbreaks in this part of the world were likely to be related to drinking infected raw date palm sap. That said, human-to-human spread is well-known, and of the cases reported from an outbreak in Siliguri, 75% occurred among hospital staff or visitors. 8) Outbreaks such as NIPAH are likely to become more common. Population density will make human-animal interactions more likely, increasing the chances of virus cross-infection. There is an increasingly recognised phenomenon of virus 'jumping' species. This means that bugs that primarily affected animal or bird species mutate with time and human beings become their new hosts. Swine and avail flu are examples of this phenomenon. 9) Telling people not to panic often tends to ensure that they do. It is, therefore, imperative that facts and advice must be available from trusted sources in clear and simple speak. A robust single portal source of information set up specifically for the particular outbreak should become the norm. 10) Kerala has declared that the outbreak has been contained. We owe this relief to the hundreds of medical professionals who risk their own lives when it comes to saving others. A poignant note written by Nurse Lini who succumbed whilst looking after patients has touched the hearts of thousands. She is a shining example of unassuming dedication and courage that the entire medical profession should be proud of.